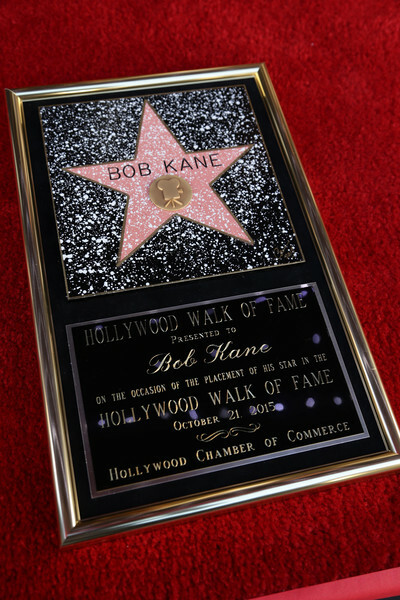 BAT - BLOG : BATMAN TOYS and COLLECTIBLES: BOB KANE Co-Creator of #BATMAN Gets a Star on the Hollywood Walk of Fame!! 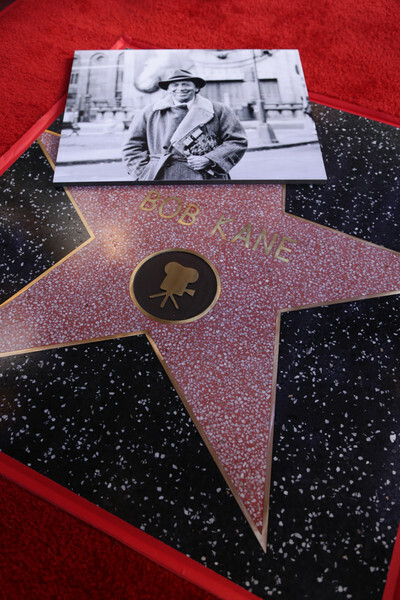 BOB KANE Co-Creator of #BATMAN Gets a Star on the Hollywood Walk of Fame!! 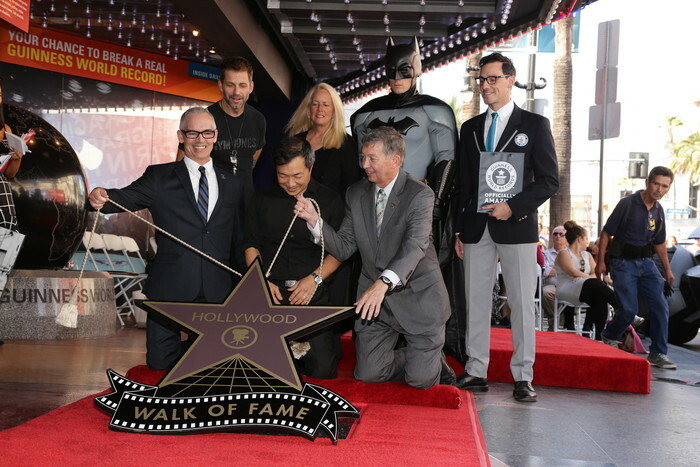 The Hollywood Chamber of Commerce proudly unveiled a Walk of Fame star in honor of the late Batman creator Bob Kane on Wednesday, October 21st, 2015. 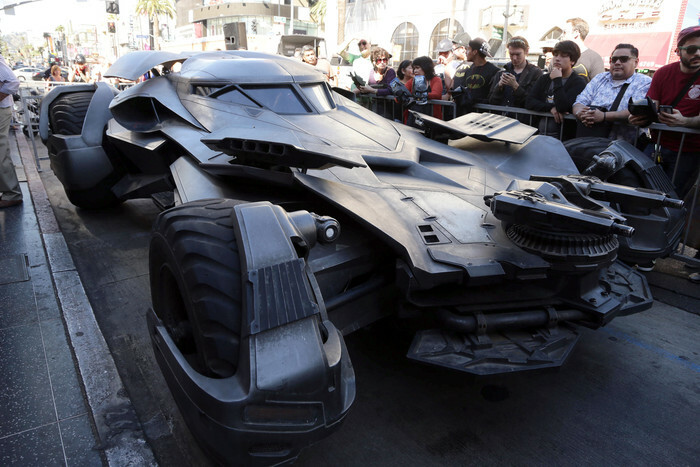 The star in the category of Motion Pictures was dedicated in front of the Guinness World Records Museum right beside the all-new Batmobile from Warner Bros. upcoming film,Batman v Superman: Dawn of Justice". 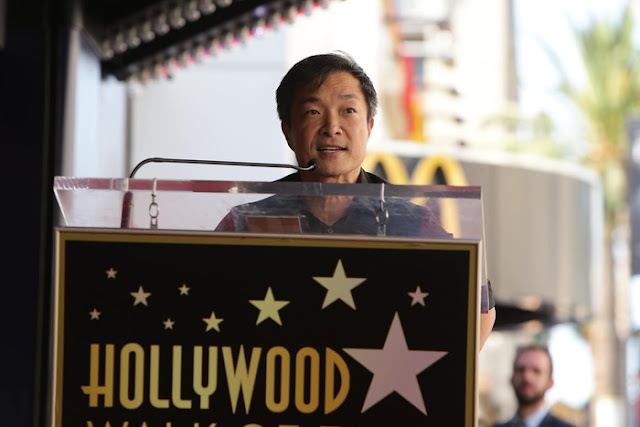 Filmmaker Zack Snyder and DC Entertainment Co-Publisher Jim Lee were featured speakers at the event and discussed Mr. Kane’s timeless Batman legacy, highlighting the character’s enduring appeal on pop culture. 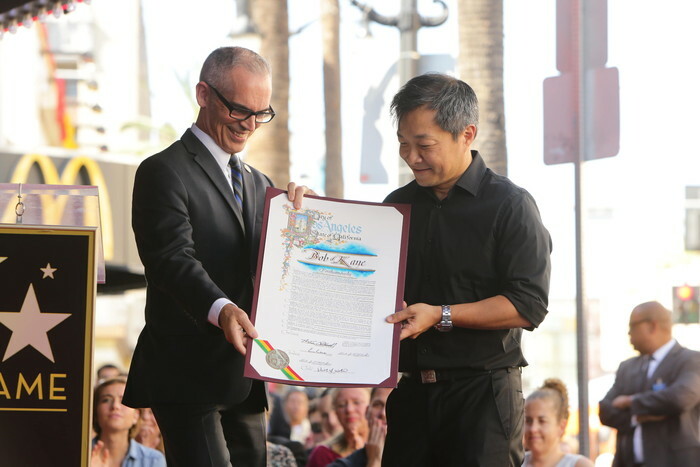 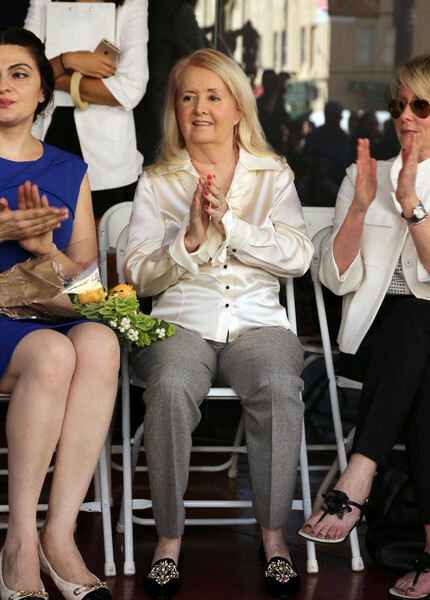 Lee also read a letter from Elizabeth Kane – Bob Kane’s widow who was also in attendance – which honored her late husband’s remarkable achievement. 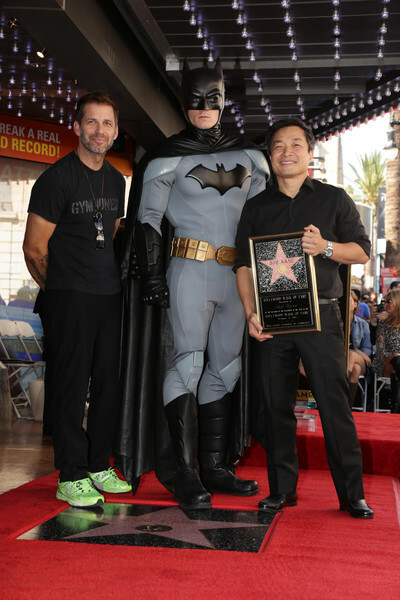 During the ceremony, Batman also received the Guinness World Records™ title for Most Adapted Comic Book Character.